7pm session is sold out so an additional 8.40pm screening has been scheduled. 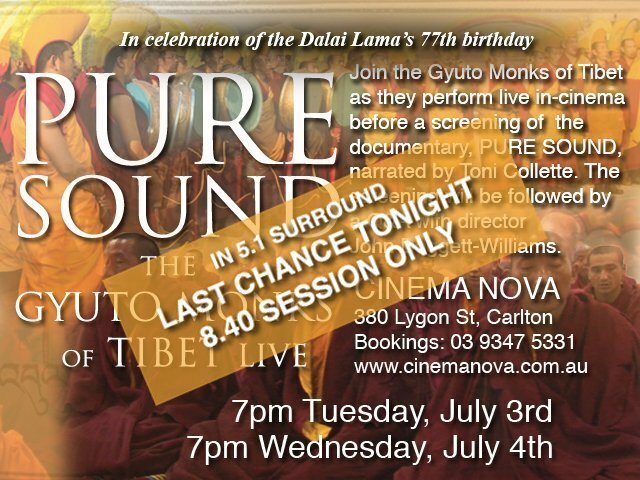 Your last chance in Melbourne to see the Gyuto monks chant live and then in 5.1 surround sound while on the big screen. Next stop Sydney: Palace Verona Paddington 6.30pm Monday July 9th.